This book is great for anyone who has an interest in Crystals. The book is written with the beginner in mind but is great for the advanced user as a refresher coarse. This is a great book to add to a collection of reference books as well. You can set down with it and read it all the way through but with all of the information packed in this book I know I personally cannot retain it all. 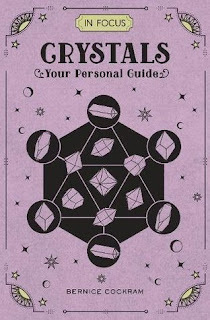 The book gives tips and uses for a variety of crystals, the Chakras, cleaning, recharging, and so much more.